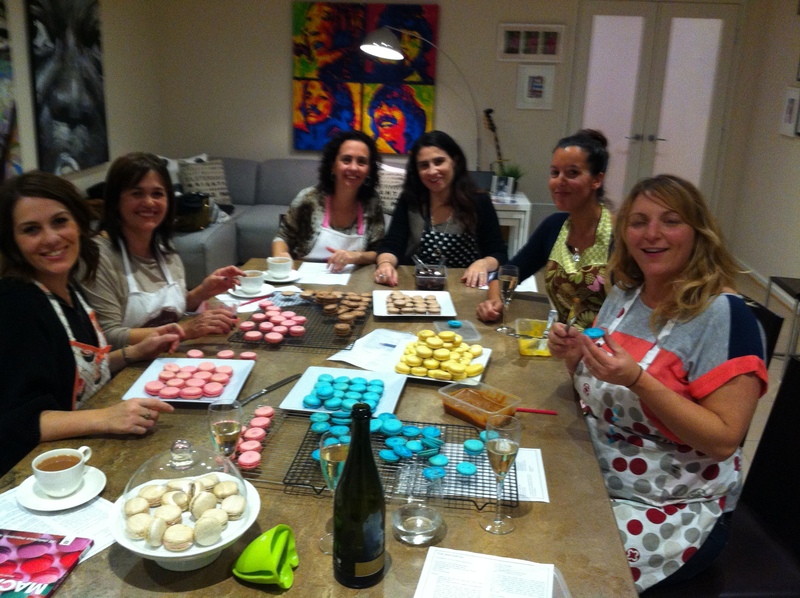 On Friday night I went to a Macaron’s Class. 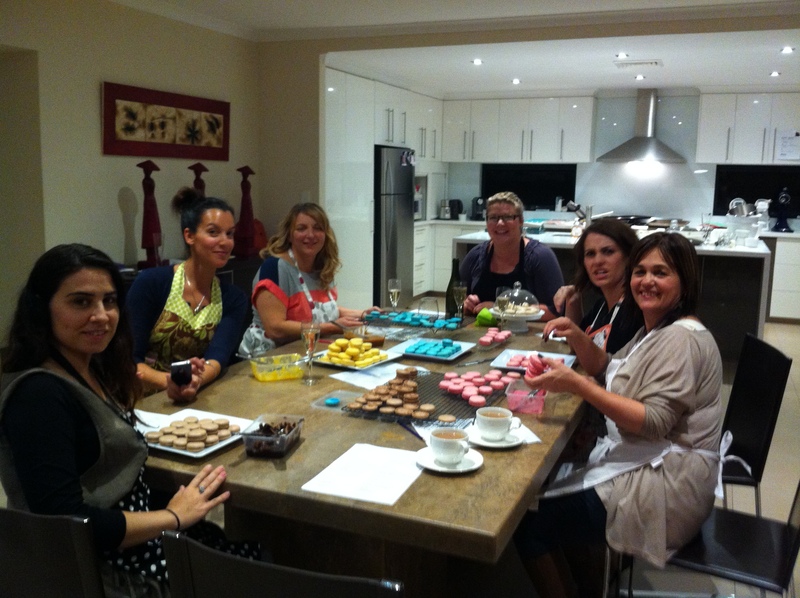 It is a class run by a very clever mum from school – Matija Tin Catering, she also has an affiliation with Cupcakes for Cancer. I went with my mum, sister and cousin and there were two other ladies that made up the group. We were not that sure what to expect but we had a great time and enjoyed every minute! Oh and did I mention there was Champagne too! Matija was really organised she had all ingredients shifted, weighed and ready for us. She explained the basics and demonstrated each step. This was great because she was able to give us little tips along the way. We made four different flavours chocolate, citrus lemon, salted caramel and white chocolate & strawberry. 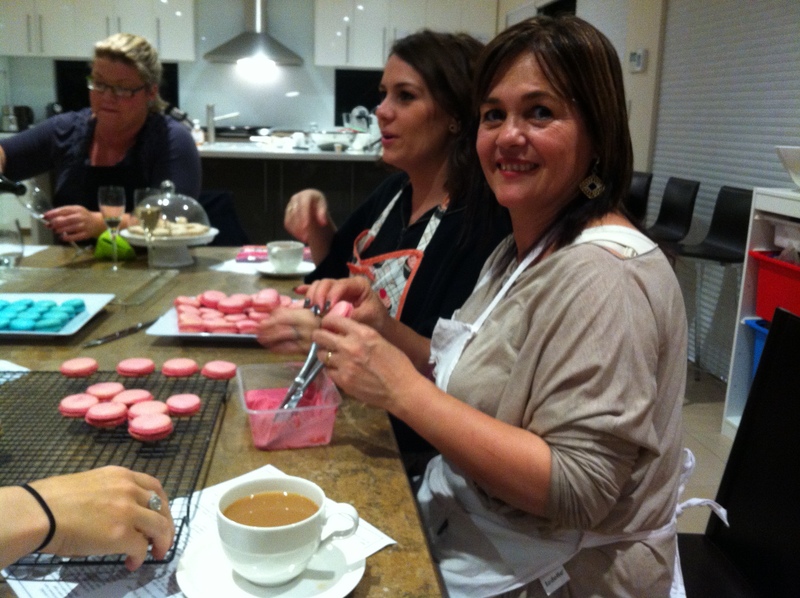 At the end of our baking we enjoyed a lovely cup of tea and for dessert we sampled each macaron. Of course! 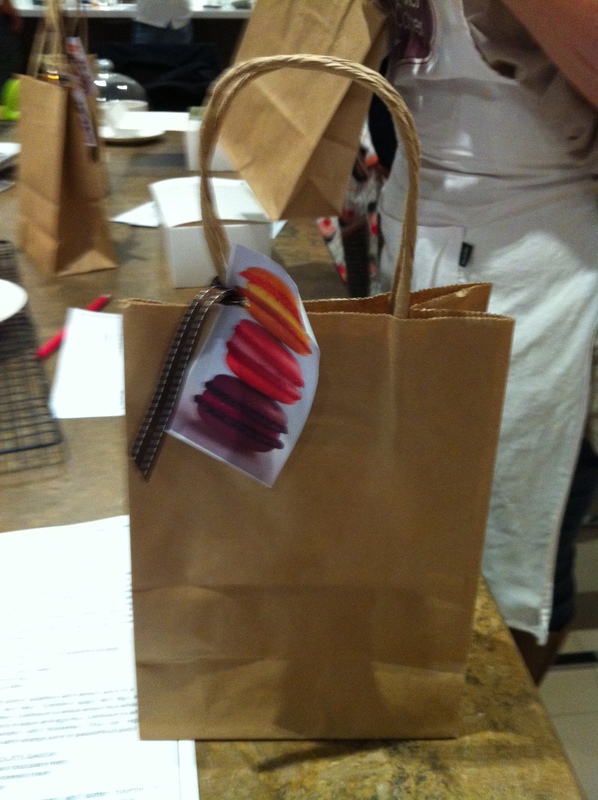 We also got a take home box with over 2 dozen macarons and a goody bag filled with the recipes, piping bags & nozzle, plastic scraper & macaron template for piping! I’d like to say a big thank you to Matija. 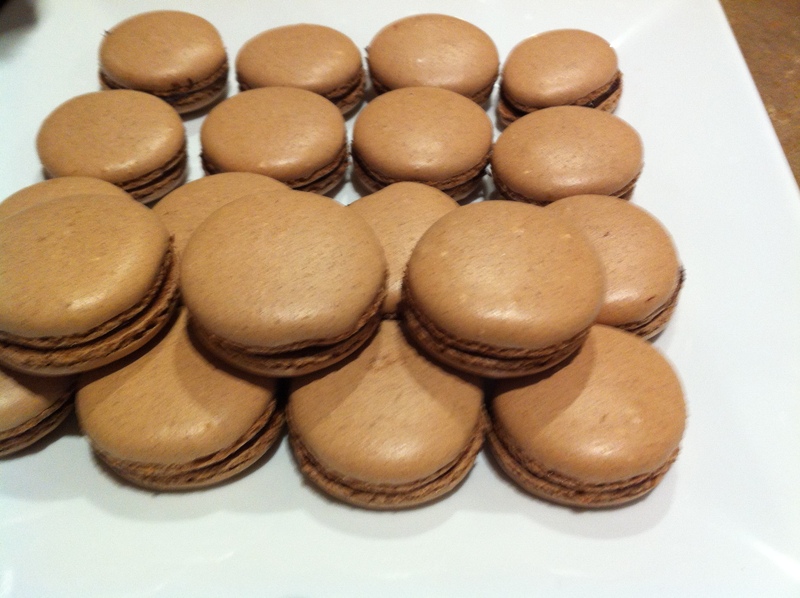 I now need to go and hide MY macarons from Dave and the kids. Go girls! Can’t wait to taste. Pop on over I think I have a few left! 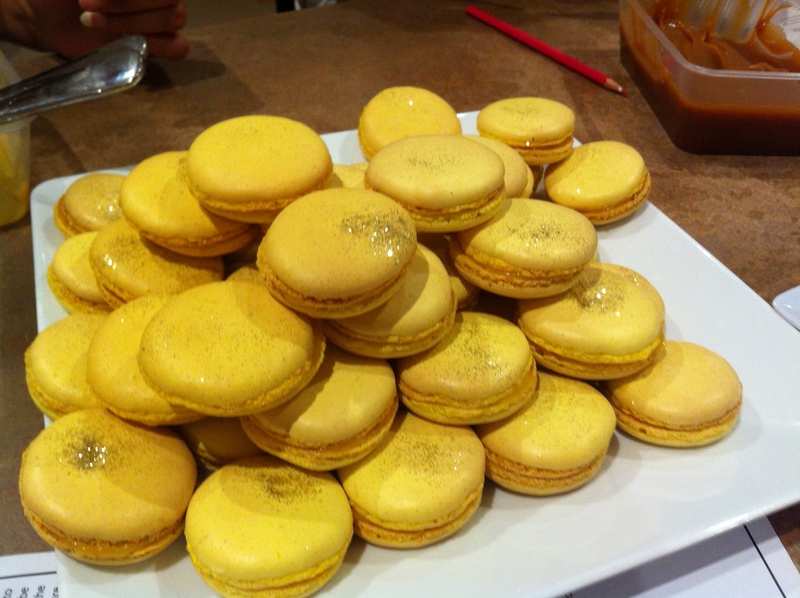 I’m doing a macaroon class at the end of next month. 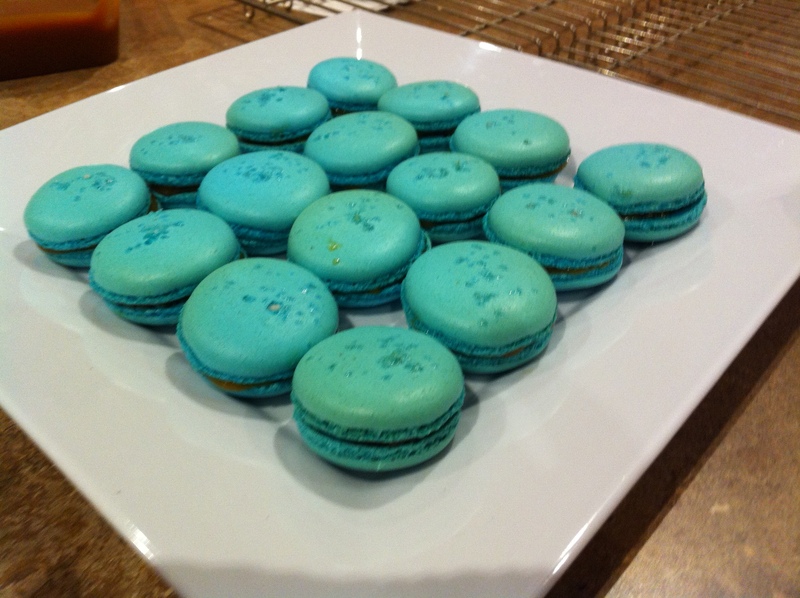 I hope the ones I’ll make look as yummy as yours! 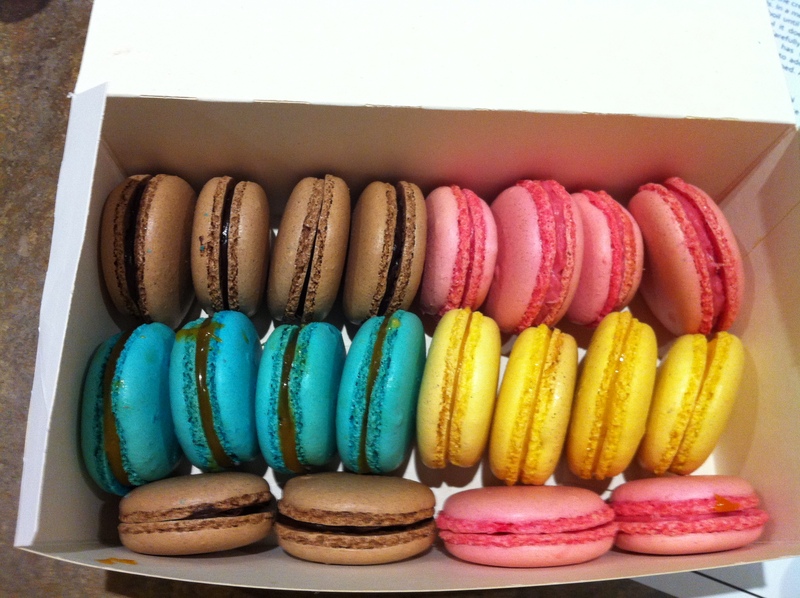 Yummo, did they taste as good as they look? You’ll have to give me some baking tips!